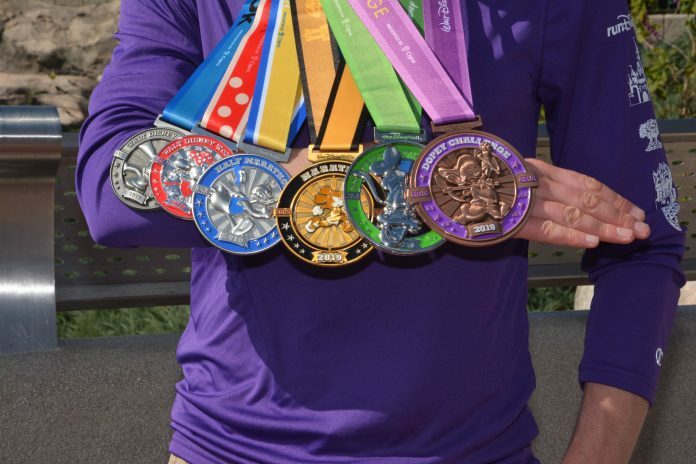 Completing the runDisney Dopey Challenge once is an accomplishment; going back to do it again the next year must make me really Dopey – or at least a big fan of running and Disney, which admittedly I am. This past weekend, I once again completed the Dopey Challenge at Walt Disney World Marathon Weekend by running the Walt Disney World 5K on Thursday, the 10K on Friday, the Half Marathon on Saturday and the Marathon on Sunday. Four days of extremely early mornings and running a total of 48.6 miles. I am exhausted. My legs are sore. And yet, as I sit here writing this, I am already thinking about Dopey 2020. I have written about runDisney many times before, so it’s no surprise that I’m a fan of these events. But this challenge goes beyond that. I didn’t just run a marathon (which is always an accomplishment in and of itself). I ran races four days in a row. Crossing the finish line of the marathon on Sunday and collecting the medals filled me with a sense of accomplishment. 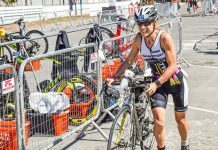 I think that as endurance athletes, we are all looking to prove how badass we are – and that’s just how I felt completing this challenge. runDisney runs a tight ship when it comes to its races, and this year was no exception with regard to organization. All of the races begin outside of Epcot at 5:30 a.m. before any of the theme parks open. Motor coach buses transport runners from all of the on property resorts. On Saturday and Sunday, runners at the monorail resorts could take that to get to the starting line. 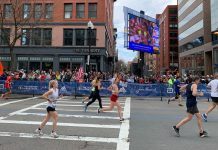 To ensure that everyone is in their corrals for the start, runners must be on the buses by 4 AM for the 5K and 10K and by 3:30 AM for the half marathon and marathon. I was as prepared for this as I could be. Like last year, I went back to bed for at least another hour each morning after the race. If you are doing this challenge, this is not the time for long days or late nights in the parks. You need to get as much rest and sleep as you can if you want to finish strong each day. Last year’s race weekend was unseasonably cold, but this year’s weather was more conducive to running. Temperatures were a little warmer each morning. The first morning temperatures were in the upper 40’s. I posted some of my fastest 10K and half marathon times during these races, and that was with stopping for character pictures. By marathon morning, temperatures were in the upper 50’s. The problem, however, was that there was 90+% humidity for the marathon (welcome to Florida). I was soaked by mile 10 which made for a long second half of the race. When they passed out cold, wet sponges around mile 18, I was truly overjoyed. The draw of runDisney races, of course, is being able to run through empty theme parks and seeing all the characters that are out along the course. Rarely seen characters make appearances during these races, and runners are able to get pictures with them. I stopped multiple times during all the races for pictures. Since I was in the first corral each day, I never had to wait for a picture. Lines, however, can get quite long for runners in later corrals. The 5K course spent a good deal of time running through Epcot. The 10K course ran through Epcot and around the Boardwalk area resorts. The half marathon course started in Epcot and ran up to Magic Kingdom before heading back to finish in Epcot. The marathon course took runners through all four of the theme parks plus the ESPN Wide World of Sports Complex. Runners start the marathon in Epcot and initially follow the same path as the half marathon up to the Magic Kingdom. After running through the Magic Kingdom from miles 5 to 6, you make your way to Animal Kingdom around the halfway point. From there, you run to ESPN Sports Complex, which you enter around mile 17.5 and exit around mile 20.5. Hollywood Studios is next around mile 23. You enter the World Showcase of Epcot before mile 25, and then you know you in the home stretch. When you aren’t running through a park, you are on the paved roads between the parks. The courses are fairly flat, although there are some gradual uphills and downhills on the marathon course. If you aren’t feeling quite Dopey but still want a challenge, you should consider Goofy’s Race and a Half Challenge which requires you to run the Half Marathon on Saturday and the Marathon on Sunday. As always, the medals were spectacular. Runners who completed the Dopey Challenge travelled home with 6 amazing medals – one for each of the four races plus the medal for the Goofy Challenge and one for completing Dopey. Runners tend to wear their medals (and race shirts) as they go around the park that day. This is a nice change from hometown races where the medal comes off and gets stashed away as soon as we get home. Overall, the entire race weekend is just a fun, well-organized event. You can complete the individual races or sign up for one of the challenges like I did. 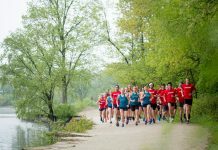 Registration for the 2020 race weekend opens in April. How many of you will I see there? Jeff ran a lot for fun when he was younger, but it wasn’t until he moved to Chicago in 2014 that it developed into a real passion for him. He now enjoys running everything from 5K’s to marathons. When he isn’t running around Chicago, you can often find him at a Disney Park (probably taking part in a runDisney race).